© 2018 Christina LaBarge all rights reserved. Pictured: 2018-2019 Team-Bottom Row from left to right: Elizabeth Russo, Tamara Menashy, Lauren Mayes. Top Row from left to right: Pamela Huynh, Joshua Fruto, Adam Knighton, Nicholas Lusk, Joseph Osgood, Kevin Zipser. (Not pictured: Cesare Romano, Christina LaBarge, Kimberly Elise Barreto, John Flynn, Shira Diamant, Raymond Chavez). The Inter-American Court of Human Rights Project was founded in 2011 by Professor Cesare Romano with the assistance of Loyola of Los Angeles International and Comparative Law Review's Volume 34 Executive Board. 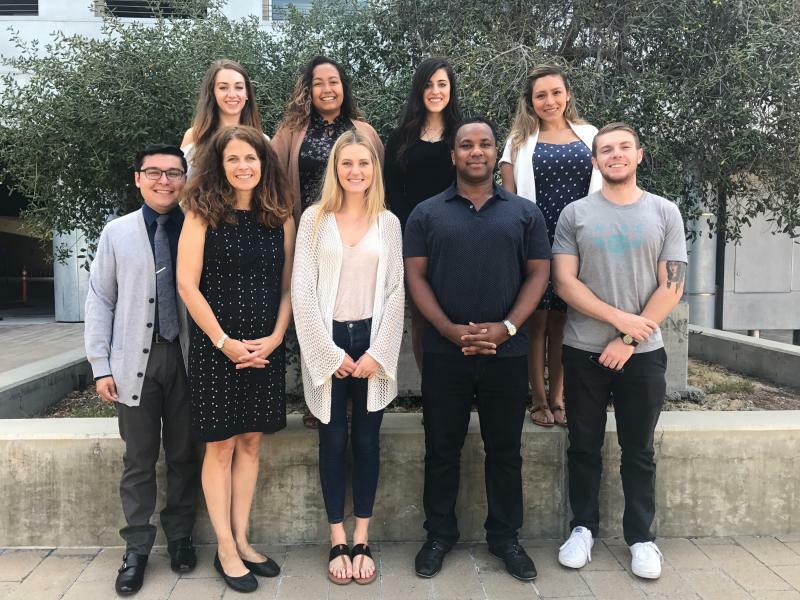 Each year, the IACHR Project is comprised of a team of Loyola of Los Angeles International and Comparative Law Review editors and staff members. Under the supervision of Professor Cesare Romano and the Chief IACHR Editor, editors and staff members work together to author comprehensive summaries of judgments rendered by the Inter-American Court of Human Rights. The Senior IACHR Editor works in concert with Loyola Law School’s Information and Technology Department to update and maintain the Project's web components. © 2017 Charlie Nelson Keever all rights reserved. Pictured: 2017-2018 Team-Bottom Row from left to right: Raymond Chavez, Jennifer Harkins, Brenna McGill, Sebastian Richards, John Flynn. Top Row from left to right: Shira Diamant, Kimberly Barreto, Kiana Farzad, Mildred Lima-Gonzalez. (Not pictured: Cesare Romano, Charlie Nelson Keever, Erin Gonzalez, Annette Avedissian, Michelle Gonzalez, Shushan Khorozyan, and Edgar Navarrete). © 2016 Cameron Schlagel all rights reserved. Pictured: 2016-2017 Team-Bottom Row from left to right: Claudia Garcia-Salas, Annette Avedissian, Erin Gonzalez, Matthew Follett, Shushan Khorozyan, Karen Cody, John Kelly. 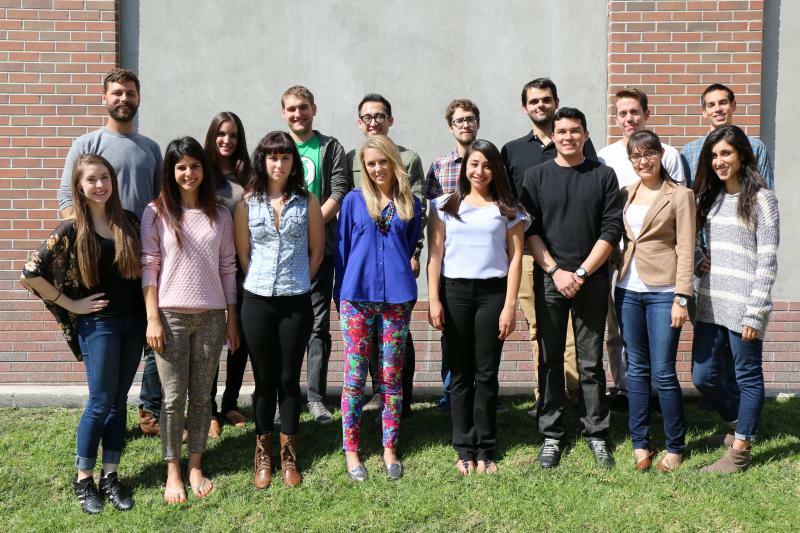 Top Row from left to right: Durdana Karim, Anne-Marie Rouche, Emma Samyan, Edgar Navarrete, Michelle Gonzalez. (Not pictured: Cesare Romano, Cameron Schlagel, Megan Venanzi, Lorraine Hall, Diane Chang, Emily Williams, and Milja Miric). © 2015 Jessica Detering all rights reserved. 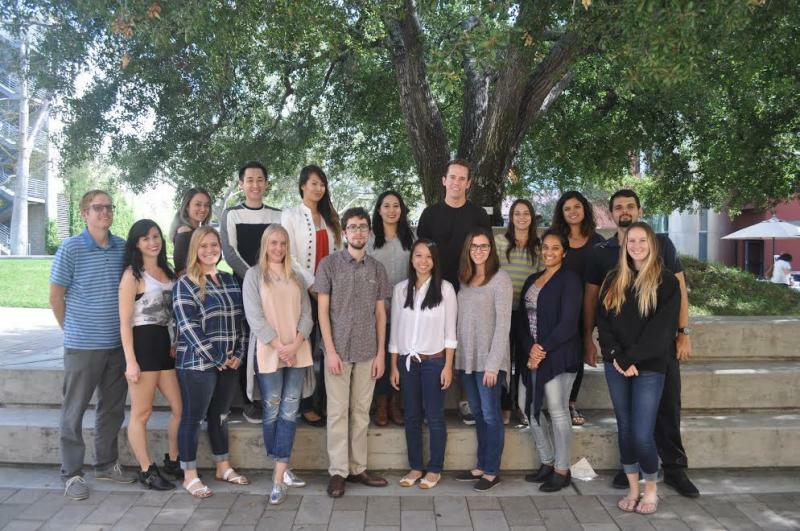 Pictured: 2015-2016 Team - Back row from left to right: Lorraine Hall, Theodore Nguyen, Diane Chang, Sandra Acosta Tello, Nathaniel Reinhardt, Emily Williams, Milja Miric, Dale Ogden. 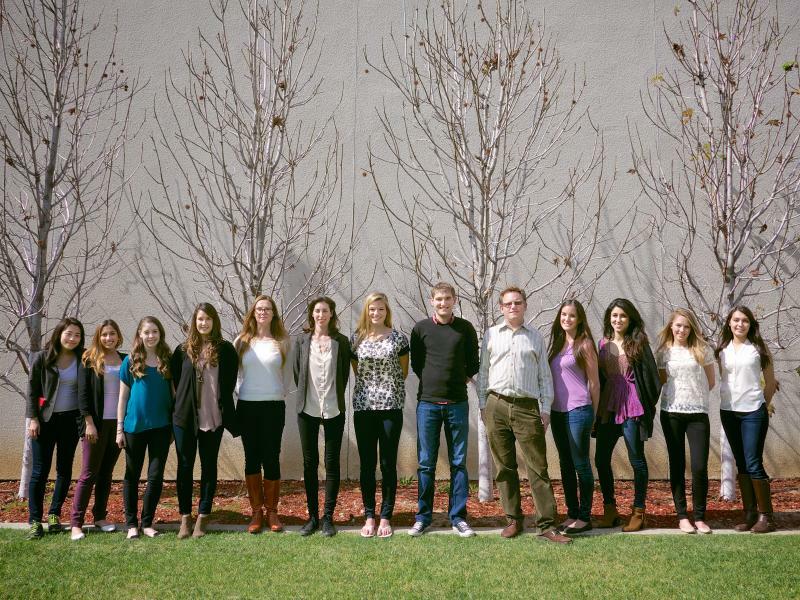 Front row from left to right: Christopher Peterson, Alexandra Gonzalez, Ava Rubin, Jessica McCormick, Zacharias Tripodes, Rachel Yeung, Megan Venanzi, Ushma Vyas, Kathrynn Benson (Not pictured: Jessica Detering and Cesare Romano). © 2014 Anna McDonald all rights reserved. Pictured: 2014-2015 Team - Back row from left to right: Björn Roos, Justine Schneeweis, Sean Lask, Theodore Nguyen, Zacharias Tripodes, Dale Ogden, Nathaniel Reinhardt, Maximillian Casillas. 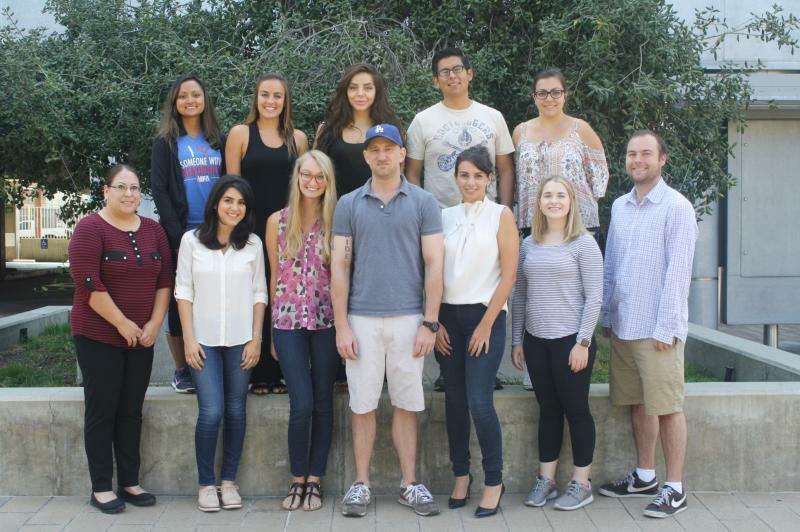 Front row from left to right: Hayley Garscia, Nazanin Farahdel, Alexandra Gonzalez, Alyssa Rutherford, Karina Villa, Jonathan Arjonilla, Griselda Perez, Jennifer Toghian (Not pictured: Kathrynn Benson, Rhandy Cordova, Priscilla Szeto and Cesare Romano). © 2014 Andrew Parker all rights reserved. 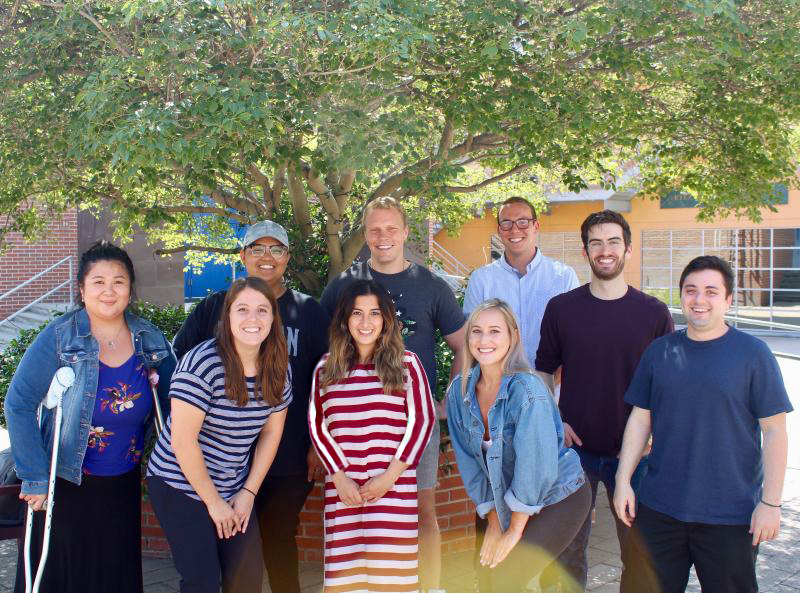 Pictured: 2013-2014 Team - Amy Choe, Monica Rodriguez, Hayley Garscia, Chelsea Zwart, Elise Cossart-Daly, Jenna Eyrich, Anna McDonald, Sean Lask, Brian Gabriel, Justine Schneeweis, Jennifer Toghian, Alyssa Rutherford, Griselda Perez (Not pictured: Leona Lam, Heather Hassan, Lindsey Wrape, and Cesare Romano). Our database and web publications could not have been possible without Jenna Eyrich, 2013-2014 Senior IACHR Editor; the 2013-2014 IACHR Team; Griselda Perez, 2014-2015 Senior IACHR Editor; Professor Cesare Romano; Corinne St. Claire, Gabe Estrada, and the Information and Technology Department; Loyola of Los Angeles International and Comparative Law Review's Volume 36 Executive Board, Editors, and Staff Members; Sarah Frost, 2012-2013 Chief Articles Editor; Elise Cossart-Daly, 2013-2014 Chief IACHR Editor; and Hayley Garscia, 2014-2015 Chief IACHR Editor.